The 176 Superior rooms are designed in a contemporary style with influences of the Arabian essence and a touch of Moroccan spirit, featuring King, Queen or Twin beds in a spacious 41sqm (441sqft). The large marble bathrooms have a separate walk-in rain shower and tub. 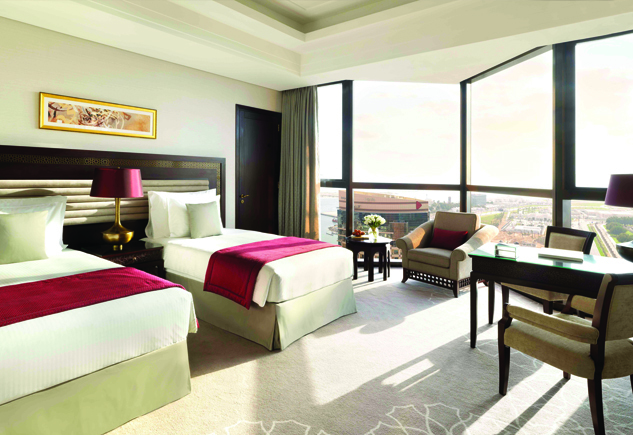 Floor-to-ceiling windows are displaying the breath-taking views of the city’s landmarks including the magnificent Presidential Palace.